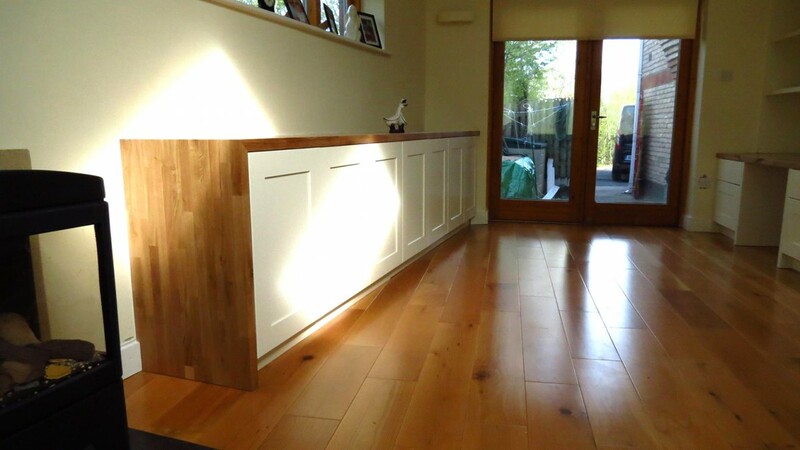 If you are in need of Alcove furniture including TV cabinets and custom TV units in Dublin, contact us at A.D Woodcraft. 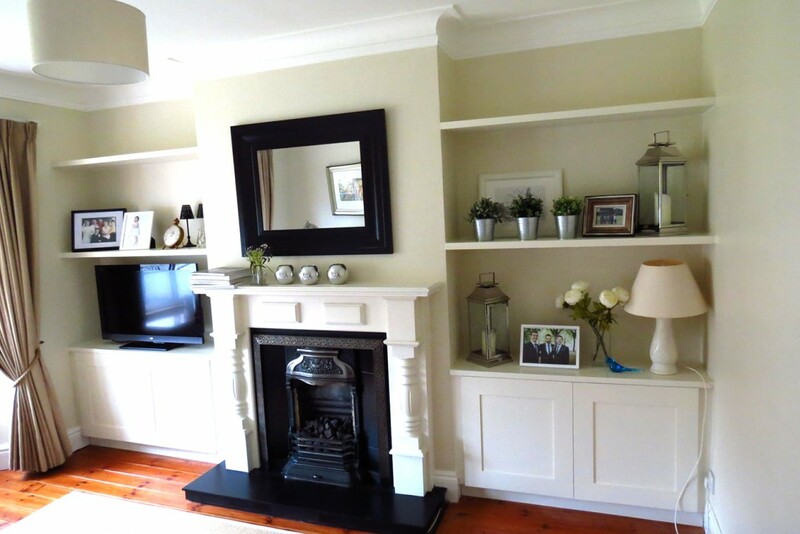 Bring that unused space to life with our bespoke Alcove cabinets and floating shelves. 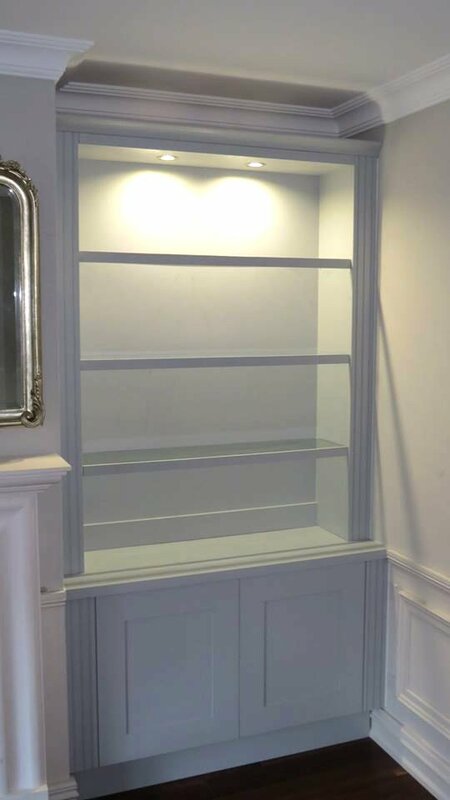 Our Alcove units, floating shelves and bespoke TV cabinets bring style and a neat finish to any room and offer the opportunity for extra storage. They can also be used as an entertainment unit, the perfect way to frame your TV and hide those unsightly wires and digital boxes! 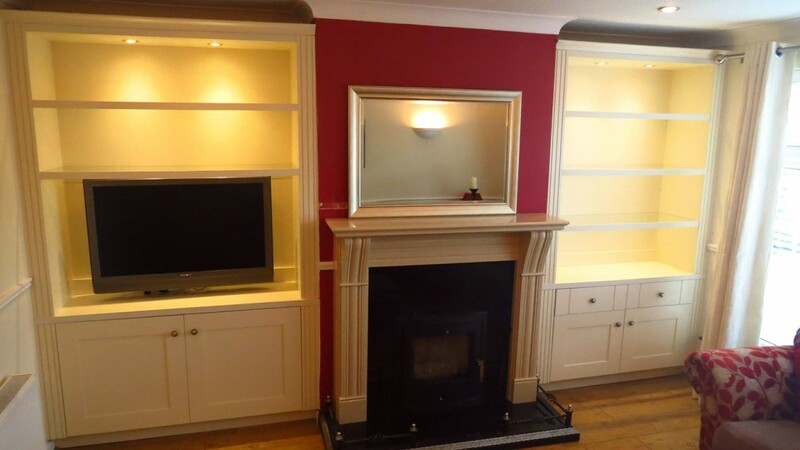 Our Alcove furniture, including Alcove cabinets, bespoke TV cabinets and built in TV units can be designed to match your exact requirements in any design and colour. We are excited to introduce our new range of lit Alcove cabinets using sleek L.E.D lighting to bring beautiful warmth and elegance to your room. Our lighting comes in a range of colours to suit your personal preferences. Traditionally, Alcove furniture is expected on either side of a fireplace, thereby giving extra storage to parts of a room that would otherwise lie unused. However, there are many places where Alcove furniture can be also be installed that you may not have thought of. What about unusually shaped recesses in the kitchen, or possibly an odd nook in a bathroom? Do you have an unused gap under the stairs, or awkward areas caused by extensions and renovations? All of these can be brought back in to use by adding some attractive bespoke furniture, and everyone can benefit by the addition of extra storage. Nobody is ever content with the number of cupboards and shelves they have; there will always be a use found for more units where you can tidy away your possessions in order to keep the rest of your rooms looking pristine. There are many reasons for creating new alcove furniture. You may want to hide radiators or ugly pipes behind radiator covers, or have the use of additional storage units in areas that otherwise would not be used effectively. 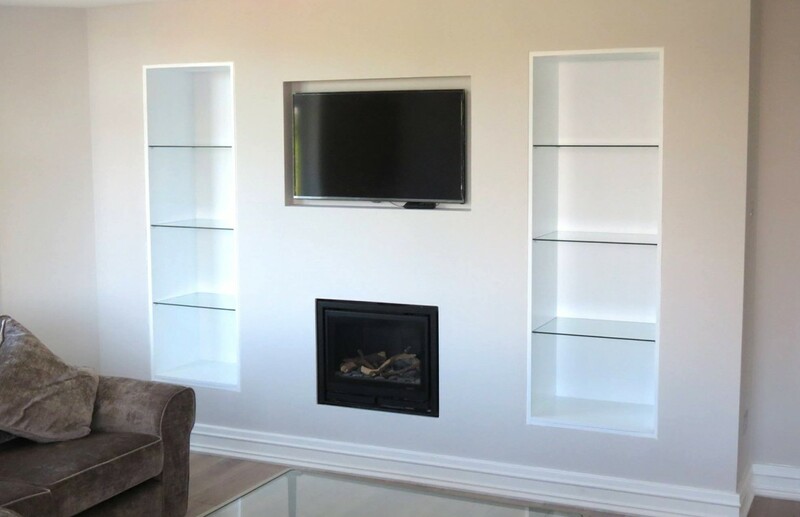 Many people choose Alcove furniture as built in TV units with shelving and spaces surrounding the TV itself, useful for storing any CDs, DVDs, game consoles or other entertainment systems. It doesn’t matter what the reason is, the result of our work will be a beautifully crafted and useful piece of furniture that will enhance the look of your room. Your choice of Alcove units and TV cabinets doesn’t have to be of classic design either, although we can accommodate this as well. 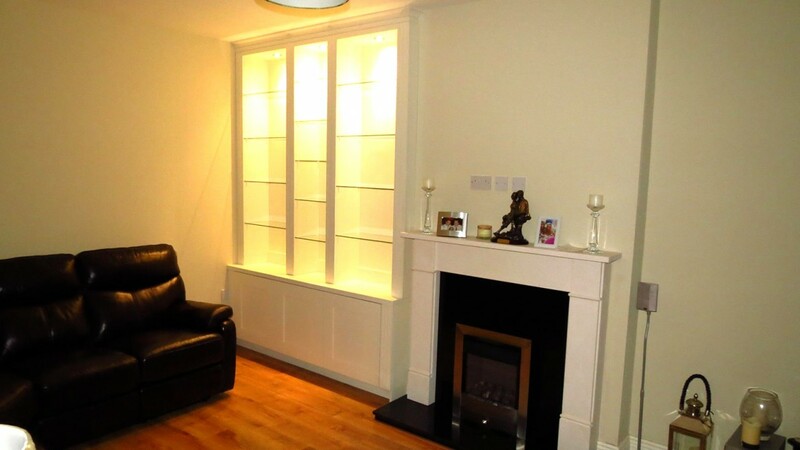 If your home is more contemporary, we can supply bespoke Alcove furniture to suit. This could be in the form of slick and clean floating shelves, or modern-look cabinets, built in TV units or bespoke bookcases. Whatever type of decor your home has, we can develop custom-made solutions that will fit in perfectly to supplement your design choices. To enquire about our Alcome cabinets, bespoke TV cabinets and built in units, please get in touch. Call us on 00 353 85 127 0371 or alternatively, send an email to info@adwoodcraft.com.